come to the main area.. There are two types of Accounts..
Microsoft Account - You Need Internet Connection for Signing-in. Local Account - Doesn't Need Internet Connection for Signing-in. 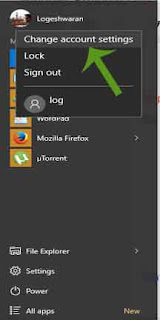 Step 1 : Login to Your Windows. Step 2 : Press Start Menu or hit Windows Key,Click On User. Step 3 : Right Click on it to get Change Account Settings,Select it. On Family & other Users/people. 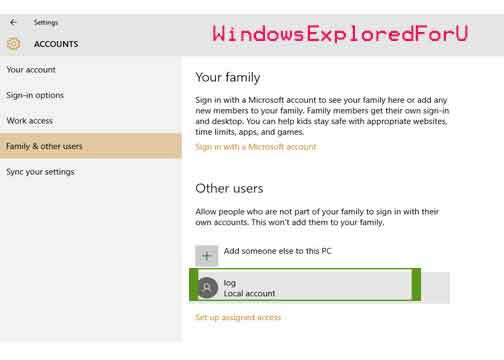 "Family & Other Users Option Will Be As Fourth option in Left pane. 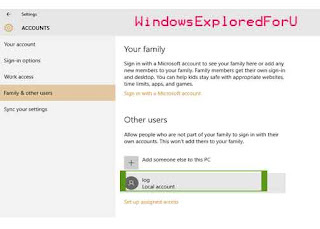 Step 5 : Click On Add Some one else to this PC.Which Will be on right Pane. 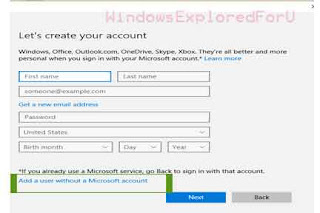 address,And Also add a User Without Microsoft Account. Step 7 : Enter You Name,Password,etc and Click Next. 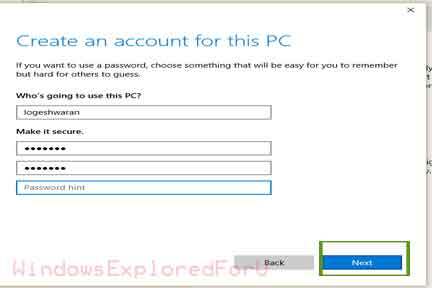 That's All You Have Successfully Created User Account in Windows 10. Comment if you have any doubts..